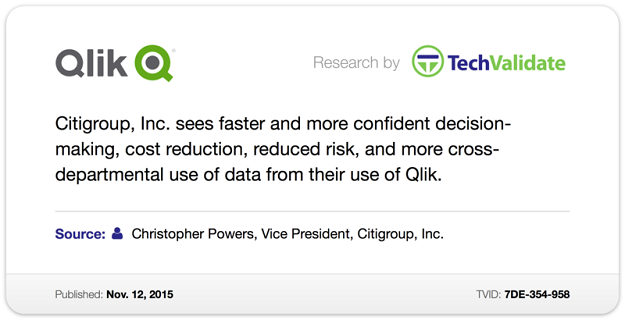 Thanksgiving is coming up and we asked our customers what about Qlik they most appreciate. 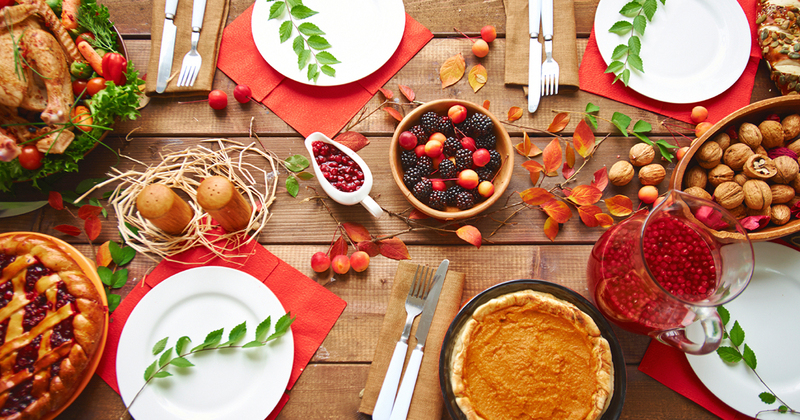 Despite growing up north of Massachusetts, Thanksgiving was one of the great American traditions that was instilled early, starting in grade school. We would trace our hands on construction paper to make turkeys, dress up as pilgrims and have a feast at school – it was all part of the fabric of growing up in the Northeast. Inevitably, before we got a chance to chow down – everyone was asked to write down and then announce to the class what they were thankful for. 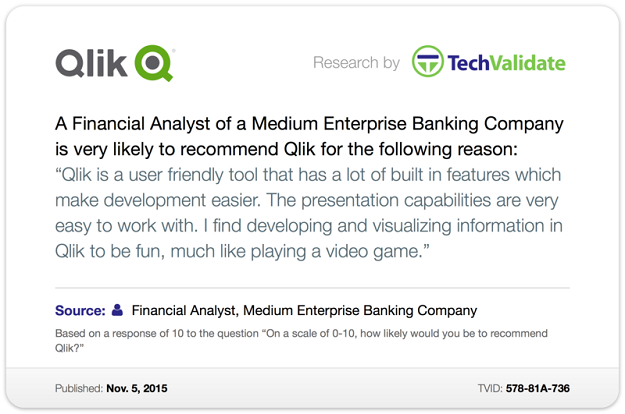 I think mine were mostly sports related if I remember correctly…but the “What Are You Thankful For?” concept got us at Qlik thinking. 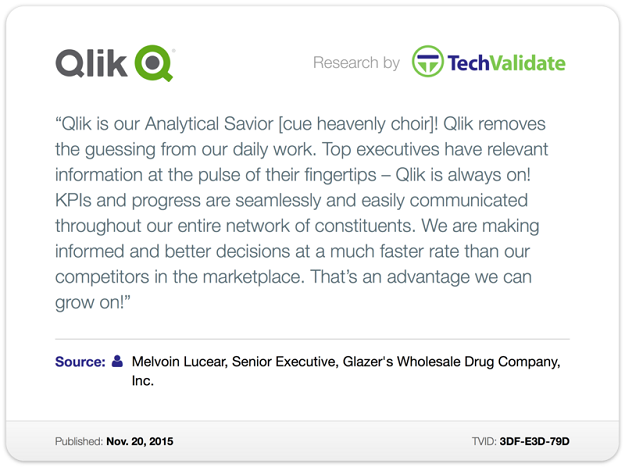 Employing TechValidate, a pioneer in the marketing content automation field, has allowed us to elicit feedback on Qlik and learn more directly how it impacts our customer’s organizations. We were really floored by the positive responses we received as part of this new campaign and wanted to share them with you, our readers! So naturally, we thought the holiday season was the perfect time to share just a few of our favorites. 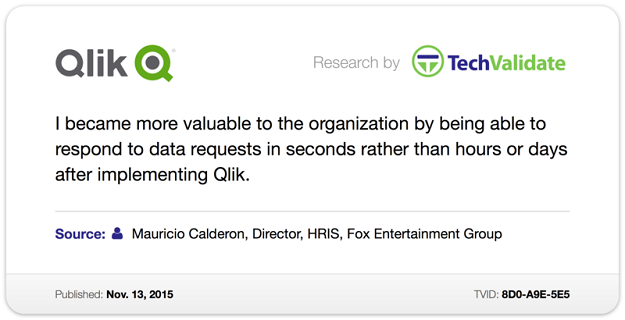 Now, we could continue to post more and more of these quotes and stories – but as the old axiom in show business goes: “always leave them wanting more”. Be sure to keep a close eye on our social channels because we will be publishing quite a few more of these throughout the upcoming winter months!